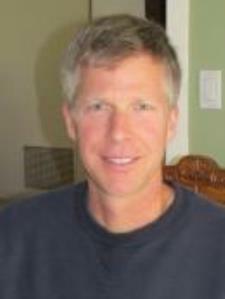 I'm a retired engineer and math teacher with a love for teaching anyone who wants to learn. As an engineer, I regularly used all levels of math (from arithmetic through calculus), statistics, and physics. I hold a California Single Subject Teaching Credential in math and physics (I taught high school math from pre-algebra to geometry). As an Engineer, I used statistics to identify and solve many issues in design, manufacturing, and business. As a math teacher, I've helped several students, who are pursuing a variety of careers (Engineering, Business, Nursing, Law, Psychology, etc. ), successfully complete their Statistics courses. My experience also includes working with students from several of the local colleges and universities, as well as some online courses. As an Engineer, I found math to be my most valuable tool, useful in all sorts of applications. As a math teacher working with many students, I found that a lot of people struggle with the subject for a variety of reasons. My goal as a math tutor is to help each student develop their math skills in a positive and constructive way to allow them to accomplish their own goals. As an Engineer, I found math to be my most valuable tool, including several topics taught in Algebra 2 and College Algebra. As a math teacher, I've worked with several Algebra 2 and College Algebra students from many Sonoma county high schools and colleges, and online courses. While the Algebra curriculum is differs between schools and teachers, I work with each student to develop their math skills within the framework of the Algebra course they are taking. As an Engineer, I found math to be my most valuable tool, useful in all sorts of applications. As a math teacher, I've worked with several geometry students from the local area high schools and online courses. I found that each school and teacher presents Geometry in unique way; My goal as a math tutor is to help each student develop their math skills in a positive and constructive way to succeed their particular class. With 30+ years of engineering work, I've helped several high school and college students succeed in their physics courses. My qualifications include a California Single-Subject Teaching Credential for Math and Physics and a Mechanical Engineering degree, which included calculus-based physics courses. As an Engineer, I found math to be my most valuable tool, useful in all sorts of applications. Pre-Calculus and Trigonometry are particularly useful in engineering and science fields. I've worked with several Pre-Calc/Trig students from local high schools and colleges to successfully pass their class. While each course presents the math in different ways, depending on school and teacher, I help students develop their math skills to meet their goals within each class, and beyond. Craig is extremely patient, knowledgeable and a great fit for our son who needed some help in Geometry/Algebra 2 ! Having Craig able and willing to come to our home and work within our son's schedule is very appreciative and we look forward to the next time ! Thank you Craig ! Craig P. And I worked very well together, he is very good at finding new ways to explain things and making it easier for you to understand when you're stuck. Craig worked with my grandson to achieve an understanding of pre-calculus and trigonometry that was beyond our expectations. Our grandson received a 96 out of 100 on the first test after working with Craig. We could not be more pleased. Thank you! Craig is an exceptional tutor. I often left my algebra classes bewildered, and when I met with him to go over the material - I always left understanding and having confidence in what I learned. I saw a 40+ point increase on my exams when working with Craig. He is very patient, knowledgeable, a great teacher, and I am convinced that he is the best tutor in the county. He makes complicated things simple. My favorite thing about him is that when I would get a tough problem, and I would complete all the steps correctly, he would celebrate that. He was always genuinely happy to see my improvements! That’s the kind of tutor you want on your team :) I could not have succeeded in this class without him; and I am so grateful for the help he provided! I didn't understand my trig homework at all, and after meeting with Craig, he made it all make sense. I completely understood the homework after our session. Thank you Craig! I went with Craig as my tutor after reading other people's views...and he lives up to every expectation. He is knowledgeable and patient and mostly very kind...and patient....yes I repeated that point. I will recommend him and also hire him for my daughter's algebra. Thanks Craig! Our son has been a good math student, but at the beginning of this semester he had problems understanding geometry. His first test was a C. Craig immediately built rapport with my son in part because Craig was an engineer and my son may want to become an engineer. After two meetings in two weeks my son earned a 98% on his next test. Craig and my son have continued with a once per week session and, although we haven't received the grades yet from the teacher, my son feels he has scored a 95% or better on tests. One of the best parts is hearing the two of them talking through problems and solutions at the kitchen table. My son is enjoying it! Craig has worked tutored both my son and daughter throughout high school in Algebra, Geometry, Algebra II, and Statistics. He is very patient and has the ability to break things down in a way that they are able to understand more clearly the steps needed to solve various math problems. He is not only excellent at providing students with great test preparation strategies, but he also keeps parents fully informed by emailing a detailed summary of what was covered in each tutoring session. I have happily referred Craig to others and will continue so in the future. Craig is working closely with my son and is happy to customize the subject matter in order to strengthen and give him the tools he needs to succeed. So far the results have yielded a student who is happy and confident when he does his math homework for school. Craig was great with my son. We are looking forward to having many more sessions with him in the future.